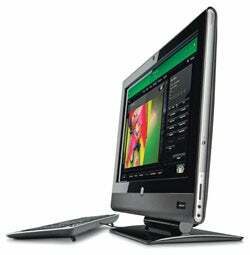 The HP TouchSmart 610xt is powerful and durable enough to do double duty as a PC and an interactive terminal. The touch-based tablet revolution is creating some unexpected consequences: So-called touch capacitance technology--that's geek-speak for the technology that gives us the ability to control our Apple iPads or Motorola Xooms with our fingertips--is finding its way into traditional desktop PCs. 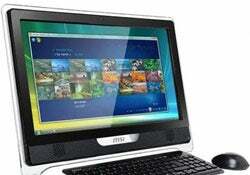 Granted, touch PCs are far from the bottom in terms of cost, but they do offer some intriguing options. Desktop touch PCs make excellent interactive retail kiosks and can be modified to run touch-activated reservation and inventory software. They can even be shared work terminals on which customers and staff collaborate--to fill out complex forms in medical office waiting rooms, for example--to dramatically improve the accuracy of entered data. Here are our picks for touch PCs with sleeper small-business upside. 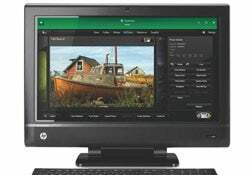 HP was one of the earliest to bake touch technology into an attractive all-in-one PC, and its 610 line certainly can serve double duty as an interactive terminal. The xt offers almost absurd power in a relatively durable, low-fuss enclosure. The Intel Core i5 quad core processor can handle legitimate, high-horsepower, database-intensive applications. And the 23-inch screen is big enough to allow even the most computer illiterate employee to enter data, manage tasks or otherwise get work done. 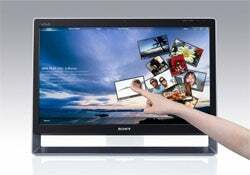 Sony is attempting to be the high-margin, high-value-add player in the touch PC space. The L series can be fitted out with Intel Core 2 quad processors, advanced graphics and video cards--and, really, most any function found in a traditional PC. But what sets this touch-enabled PC apart is the screen: Its high-quality, 24-inch display supports lovely full-HD resolution, making it ideal for an interactive point-of-sale terminal. Sure, $1,900 is a lot for a PC, but considering this unit can compete with custom-built interactive sales terminals at 10 times the price, this VAIO is a steal. Taiwanese PC maker MSI doesn't exactly make it easy to buy its machines, which are sold through controlled sales channels accessed via the company's website. Prices, features and functions are all negotiable, so getting to a deal takes real time and effort. But the throwback shopping experience might just be worth the hassle. Our test MSI ran at about half the cost of the name-brand makers we looked at. And based on our initial impressions, overall quality is not bad. If your shop is considering buying touch-based PCs in any bulk--or you are not afraid of some old-fashioned retail haggling--MSI is an excellent option.